In The Electric Mist is a film with a split personality. It may well become a cult movie for that very reason, examined time and again to explain fundamental differences between American and European ways of moviemaking. Of course, it could also disappear into its own misty oblivion. Only time will tell. Made in America by award-winning French film director Bertrand Tavernier, based on a best-selling novel by James Lee Burke and starring Tommy Lee Jones and John Goodman, it certainly had all the makings of one major box-office and critical success. Instead it exists in two versions, neither of which has thus far exactly taken audiences and reviewers by storm. One of these, 117 minutes long, was shown at the Berlin Film Festival in February 2009 before being released in European cinemas two months later. At the same time, the second—102 minutes long, cut very differently from the European version, and containing different scenes—went straight to DVD in the United States. The American film starts with Jones, who plays Dave Robicheaux, a cop with a violent past in Vietnam, sitting in a bar ruminating on his alcoholism. He expresses himself in more prosaic fashion. Sometimes he feels like having a drink, he says, but he always manages to resist the temptation. Throughout the two versions of In The Electric Mist , there are differences, some subtle, some major, culminating in an ending in which the European version leaves a great deal—perhaps too much—to the viewer’s imagination, while the U.S. version makes plain exactly what has happened. This bizarre situation is the result of a row between Tavernier and both his American producer, Michael Fitzgerald, and editor, Roberto Silvi, concerning the cutting of the movie. When their disagreements proved impossible to resolve, the only solution was to release two versions of the same film, one for either side of the Atlantic. Fitzgerald, head of Ithaca Pictures, supervised Silvi on the cutting of the shorter, faster-paced film for the U.S. market. Tavernier, with the help of editor Thierry Derocles, kept the picture at its original length, leaving in scenes that, while superfluous to the intrigue, he felt were necessary to explain Robicheaux’s complex personality. Where does all this leave Tavernier? Is his long love affair with America and its cinema over? He has visited the U.S. on numerous occasions and is author of two books, the monumental 50 ans de cinéma américain (50 Years of American Cinema) , and a collection of interviews with great American filmmakers, Amis américains (American Friends) . In an interview in conjunction with the screening of his version of In The Electric Mist at the Utopia Cinema in the ancient southern city of Avignon, the director refused to comment on his dispute with Fitzgerald, which took more than a year to resolve following shooting in the spring of 2007. Cineaste: You won’t say anything about it at all? 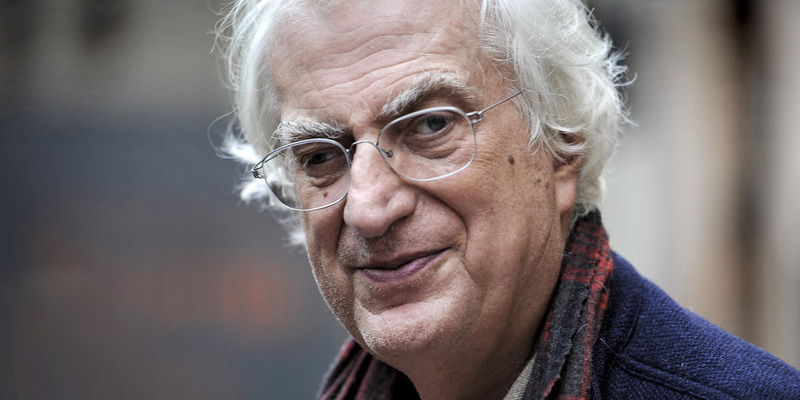 Bertrand Tavernier : Nothing. Nothing at all. What I say is, “Look at the two versions and make up your own mind.” This will explain the situation. I cannot comment. Having the two versions is something that I wanted. We reached a point in our negotiations when I saw that this was the only solution. It was a good way to settle the situation. Cineaste: So you’re reasonably happy with things? Tavernier: Not reasonably… absolutely happy. I’m absolutely happy with this two-film solution. It is something I wanted. The producer keeps the rights for the States. He had some money to recoup so it was the best way to give him what he wanted. So I am not reasonably happy, I am absolutely happy. Cineaste: And your version of the film will be released in Europe? Tavernier: Not just Europe. In the world. In the whole world outside of the United States. Cineaste: How about people in the United States who might prefer to see your version of the film? Tavernier: They will be able to see it when my version is released on DVD. Maybe… perhaps I should not suggest this now, but there could perhaps come a time in the future when a DVD will be released with both versions on it. Like for Blade Runner, like for many films that have been cut or changed. Cineaste: So, just as movie buffs debate the significance of the unicorn in Blade Runner and whether or not the Harrison Ford character was himself a replicant, they’ll be able to argue about what you meant with the fishing sequence and Dave Robicheaux’s soliloquy on the latex salamander he’s using as bait [neither in the U.S. version, nor the book]. Not to mention his dream of a white she wolf who lives in a tree, descending to eat her young each morning [not in the U.S. version but in the book]. Cineaste: What made you choose In the Electric Mist with Confederate Dead [the novel’s full title] from all the Robicheaux books? Tavernier: Well first I should say that I am a great admirer of all Burke’s books—the ones I have read, and that is most of them. I like his style, the melange of introspection, lyricism, description that is very meditative and beautiful and then, of course, the dialog. I find Burke a writer of genius when it comes to dialog. He knows how to evoke the character in a few phrases. He writes romans noirs in which characters come before the intrigue. With Harlan Coban it is just intrigue, intrigue, intrigue, with a new development in every chapter. And afterwards you feel manipulated. You don’t have any characters. The characters are nothing. You remember Burke’s characters long after you put the novel down. You may not remember the intrigue but you remember the characters. In The Electric Mist in particular appealed to me because of the General [the shade of General John Bell Hood, a Confederate Civil War hero, who helps Robicheaux track down a serial killer], and because of many other things. I love what it says about the relationship between the past and the present, the way the two are mixed together, the way the present has its roots in the past. This is something I have touched on in some of the films I have made in France. It was something that I felt really close to. Cineaste: Why is the mist “electric”? Tavernier: I see that as meaning a mixture of mystery and tension. I never asked Burke why he called it that. The only thing I did ask him was what color it was. He said blueish. Cineaste: What is it you like about Dave Robicheaux? Tavernier: The fact that he is such a complex character. He is somebody who has wounds, who has been hurt by life, but who still fights on behalf of what George Orwell called “the common decency.” He typifies all the virtues of that expression: the sense of collectivity and idealism, generosity, the act of giving without receiving. Although he has a wife and family, Robicheaux is also very solitary. He is haunted by the idea of rediscovering the Louisiana of his childhood, he is willing to fight to rediscover it. He would like to change the world but he knows that the world won’t be changed. He seeks to protect his moral integrity. He is alone because he doesn’t want his wife to be involved in his work. His first wife was killed by gangsters. He is someone who has already paid dearly for his moral integrity. He tries to protect his house, which is a kind of oasis for him. But he has dark, somber streaks that make him complex and very human. When he has explosions of violence, he feels guilty about them. He suffers remorse. I like men who fight, who have shadows and who are not always right. I like them even if their battle is not likely to succeed. I have an enormous tenderness for Robicheaux. I have a liking for him that stems from the first book I read about him. I feel very close to that, to the violence and to his regrets for using it as he does. Cineaste: I wouldn’t put you down as a violent man. Tavernier: No, no, of course, I’m not. But I make films about people who are me and not me. For example, I’ve done two films about war. I’ve never been to war. I’ve never been drafted or enlisted. I’ve never been in the army. I made a film about the police and I’m not a cop. I try through my films to understand the world, to get to know people and places I know nothing about. This was the case with southern Louisiana. I knew nothing about it, and I wanted to discover it. Cineaste: Was there any attraction in the historical French involvement? Tavernier: No, none at all. I was attracted purely by Burke’s descriptions of it. He made it fascinating, complex, dangerous, and I wanted to learn about it for myself. As Burke says—he told me this several times—Louisiana is not an American state anymore, it is the Third World. It’s closer to Bangladesh than the rest of the U.S.
Cineaste: You stayed with him before starting work on the film? Tavernier: Yes, once or twice in Louisiana and twice at his other home in Montana. My stays varied from a week to ten-fifteen days. I worked a lot with him on the screenplay. He told me so many things about Louisiana. He explained its history, the political context. He drove me all around New Iberia [the area of southern Louisiana where the film is set]. He introduced me to people, the local sheriff, took me to all the places that I later used in the film. He has a tremendous knowledge about Louisiana and knows the whole story of the War Between the States as it affected Louisiana. Cineaste: That’s the American Civil War? Tavernier: People in Louisiana call it the War Between the States. That’s the way Burke and Tommy Lee Jones refer to it. Jones and nearly all the other principal actors in the film are from Louisiana. Mary Steenburgen, who plays Bootsie, Robicheaux’s wife, is from Arkansas. Cineaste: How about Levon Helm [formerly one of the leaders of The Band ] who plays the General? Tavernier: He’s not from Louisiana but he is from the South. Buddy Guy [the blues singer who plays Sam “Hogman” Patin] is from Louisiana. It was Tommy Lee Jones’s idea to have him and Levon Helm. And on the soundtrack I use people from Louisiana. There’s Clifton Chenier, Nathan Williams, Michael Doucet [the Cajun fiddler who founded the band BeauSoleil ]. This was very important for me. When I talked to people in New Orleans, they were very contemptuous of The Big Easy [Jim McBride’s 1987 thriller set in New Orleans and starring Dennis Quaid and Ellen Barkin]. They laughed it off as a Hollywood approach to Louisiana. They felt they had been stereotyped, said the accents were all wrong. They never stopped complaining about it. They put great importance on accents. This was one of the reasons I tried to find actors from the places where we were filming. Ryan Rilette, who plays Jimmie, is from the Ninth District of New Orleans, where we filmed some sequences. He has exactly the accent of that quarter, which is not at all like the accents of other quarters of the city. For me an accent is not just a way of talking, it is a way of walking, of talking, of dressing too. John Goodman told me my film is one of the most exact films made about Louisiana. Cineaste: You have scenes of the destruction caused by Hurricane Katrina and Bootsie is involved with a charity helping the victims. Tavernier: That’s not in the book but it’s something that I wanted very much to have in the movie. I thought it would be exciting to have a background that allowed me to show the state of New Orleans and to say at least something about the political situation in Louisiana today. A lot of the roads in Louisiana reminded me of the roads in Cambodia [where Tavernier filmed his 2004 film Holy Lola ]. They are badly cared for, full of holes. Traveling by car there can be extremely difficult. In New Orleans it was difficult to film because the lorry kept hitting enormous holes in the road, throwing the camera off balance. Cineaste: For your very first feature film, L’Horloger de Saint-Paul (The Clockmaker) in 1974, you took a story by Georges Simenon set in the U.S. and transposed it to Lyon in France. Then again, in Coup de Torchon (Clean Slate) , in 1981, you took Jim Thompson’s novel Pop 1280 and changed the setting from a West Texas boom town to French West Africa. Did you ever think of doing something similar with In The Electric Mist? Tavernier: No, it would have been impossible to set it anywhere else other than southern Louisiana. With those earlier films, I didn’t feel ready to go to the States to film. This time around I had more knowledge, more tradecraft. I knew I could get by. I had already filmed in the states, in Tennessee [ Mississippi Blues, 1984] and New York [a sequence in Round Midnight, 1986]. The result is a film completed in forty-one days—very, very quickly. And which I could make exactly as I wanted. I have made a film which is, first of all, a French production. The film was financed by TF1 international, with some help from the State of Louisiana because it was shot there. I chose to work with an American producer because I knew that I could not make a film in America without doing this. It would have broken union rules. Therefore I chose a producer who had worked with Tommy Lee Jones [Fitzgerald produced the 2005 film The Three Burials of Melquiades Estrada, which was directed by Jones]. He had made some other films that were interesting too— The Pledge, Wise Blood. I said to myself that I would ask a producer who was a little artistic. Cineaste: The way the Mafia is featured in your film is very different than movies such as the Godfather series, in which its leaders have social aspirations and live a life of luxury. Cineaste: Your filming of southern Louisiana seemed very heartfelt. Tavernier: I wanted to show the beauty of the bayou, the light, the landscape. And I didn’t want to show it as a French director. I wanted it to be as seen through the eyes of Dave Robicheaux. You discover a country through the eyes of the people who live in it. Cineaste: How did you get on with the actors? Tavernier: Oh, very well… no real problems. Tommy Lee Jones worked with me on the dialog. Only once did we quarrel. He came up with the idea of inventing new relationships between the characters and I threatened to quit the film if he pursued this. But in general we got along very well and his work greatly enriched the scenario. It was also very easy to work with John Goodman. I told him to remember that he was a third-generation Italian, so no Italian accent. I told him not to play the character as a mafioso, to forget all the films he had seen. Cineaste: Did you talk with the actors about other directors they had worked with? Tavernier: Very, very little. That didn’t really interest me. With Tommy Lee Jones, I talked about art, literature, painting, politics… and Bush. I found that very interesting. He was violently against Bush, called him “a false Texan.” We talked about architecture too. And history. He told me a lot of things I didn’t know about the famous John Brown—that he was in fact a feminist, had a great rapport with the progressive women of his time. Once he mentioned the Coen brothers. He described them as “slick New York guys”—that was all he said about them. But when I make a film, I am not a movie buff. I have so many problems—human, logistic—to contend with. I did not see any American films when I was in Louisiana. The films I watched in New Iberia were French— La grande illusion, La bête humaine, Touchez pas au Grisbi. I felt I needed to rediscover my language, my culture. Cineaste: How do you see the new generation of American filmmakers? Chris Mosey, a free-lance English journalist now living in France, was formerly correspondent for the English newspapers The Times and The Observer in Stockholm, Sweden. To buy In the Electric Mist, click here.